DEEP SECTION WHEELS! DO THE BENEFITS OUTWEIGH THE DRAWBACKS? More and more frequently now you can see people out on the road with deep section wheels, ranging from the shallower end at 30mm, all the way up to 95mm in some cases. The question is, do they offer advantages worth having or will the negatives outweigh those positives? To start with let’s highlight the main advantage. Deep section rims have huge aerodynamic benefits and under testing have been proven to not only reduce drag but, because of this, either reduce the amount of power needed to maintain the same speed or increase your speed with the same amount of power as previously. 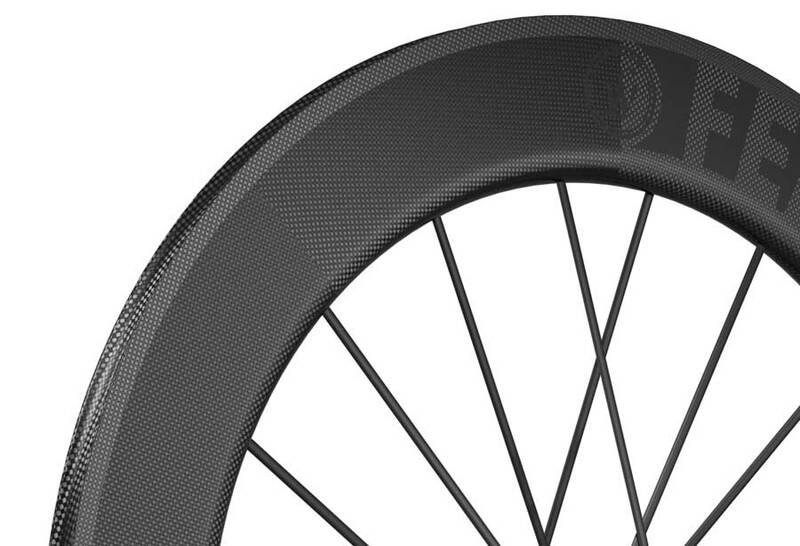 Wheel engineering firms have found that something as deep as a 95mm rim on a Time Trial bike (over a 40km course) can save a rider up to 35 watts in comparison to a box section rim. This obviously offers huge appeal for riders in the right situation, such as time trials, crit races, and road races on a course with only a moderate amount of climbing. Time trialing is obviously the most natural discipline for a deep section wheel, however, another main advantage of the larger rim is it’s increased stiffness which can make a big difference in a criterium event. The main drawback of a deep section wheel tends to be the increased handling skill required to operate the bike under normal riding conditions. The added depth of the rim means they are more susceptible to side interference from crosswinds, giving the bike a more twitchy feel. For the less confident or experienced rider, this will result in more of a challenge to maintain stability. Deeper section wheels also have the obvious disadvantage of increased weight, so for any ride with a large amount of climbing you’re instantly increasing the battle against gravity. One of the less frequently discussed drawbacks of deep wheels is the, ordinarily, extra cost to purchase them. As the majority of deep section rims are carbon fibre the cost dramatically increases in comparison to that of a box section aluminium rim. This extra cost needs to be factored in, both at the time of the original purchase and also when considering the potential damage to wheels from either crashing or even just regular use over time on poor condition roads. In conclusion, the main decision on whether to buy deeper wheels or not should come down to what kind of riding you’re into. If you spend the majority of your time riding up as many climbs as you can find you’ll be better suited to a shallower, lighter set of wheels. If you primarily ride on the flat, in TT races or in fast race conditions and can afford the extra cost involved, then get purchasing and enjoy the extra speed at your disposal.